Fontainebleau was incredible. We were on a roll with our friends Marty and Sara, but it was time to dial up the fun factor a notch. 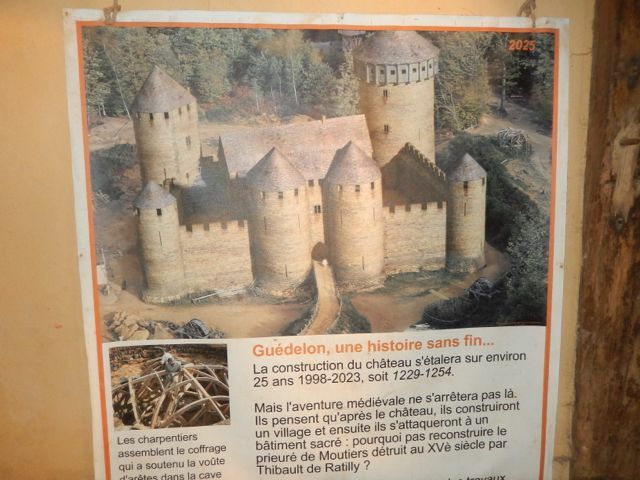 We decided to visit Chateau de Guedelon. Guedelon is what happens when perfectly sane people do absolutely crazy things. In 1997 Michel Guyot with the help of Maryline Martin decided to build a medieval castle. After all, Mr. Guyot already owned Chateau de Fargeau. What fun would it be to just go out and buy another castle? 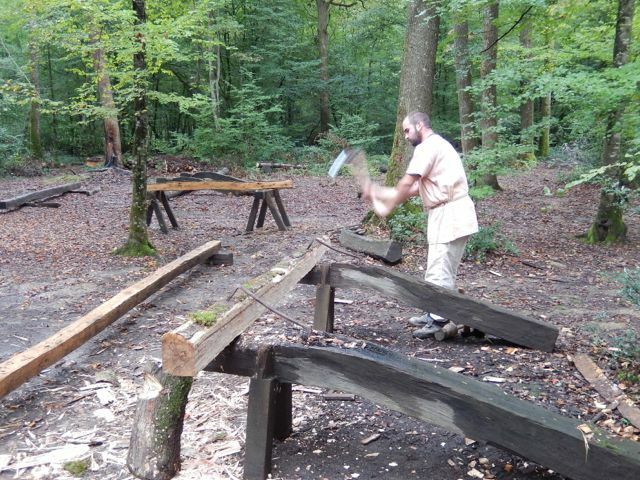 Not only did Mr. Guyot want to build his own medieval castle, but he wanted to do it using the same tools, techniques and materials as they did in the 13th century. 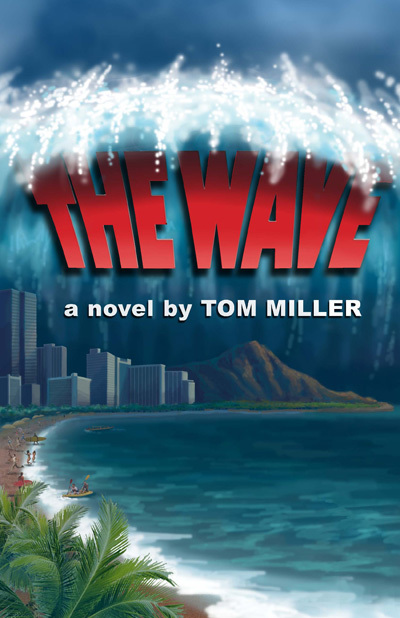 They are now 15 years into what was planned as a 25-year project. At the rate they are going 10 more years to complete might be a little tight. The first thing they needed was a suitable site. A place where there was plenty of sand, stone, clay, timber and water. 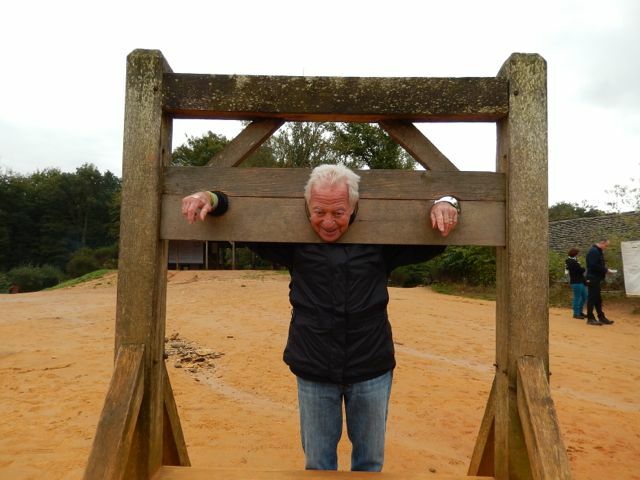 They settled on a rock quarry that hadn’t been used for hundreds of years in the middle of Guedelon Forrest. 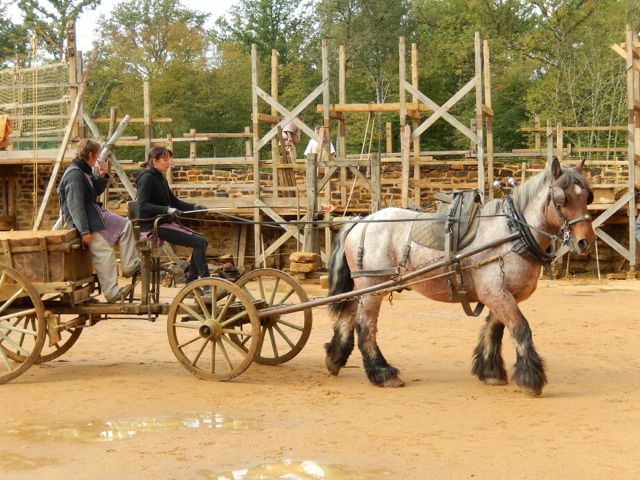 All of the materials come from the site, and are transported by horse and carriage. Not only did they build the carriage, but they made all of their own tools. They even raise the sheep to make their clothing. 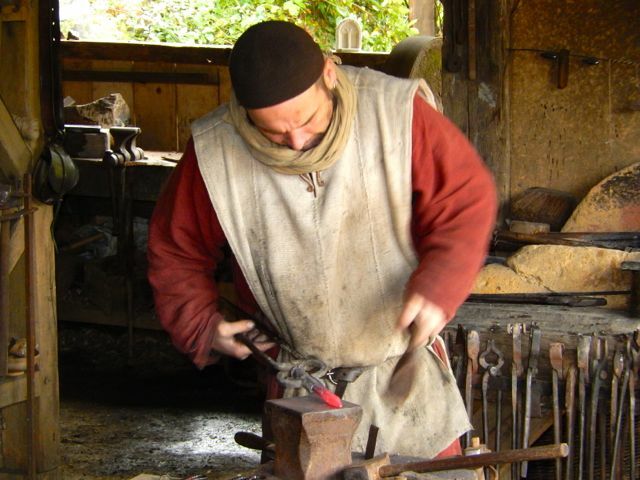 There is a blacksmith’s shop where they make chisels and hammers for the stone cutters, wood axes for the carpenters, and even the hinges for the doors. 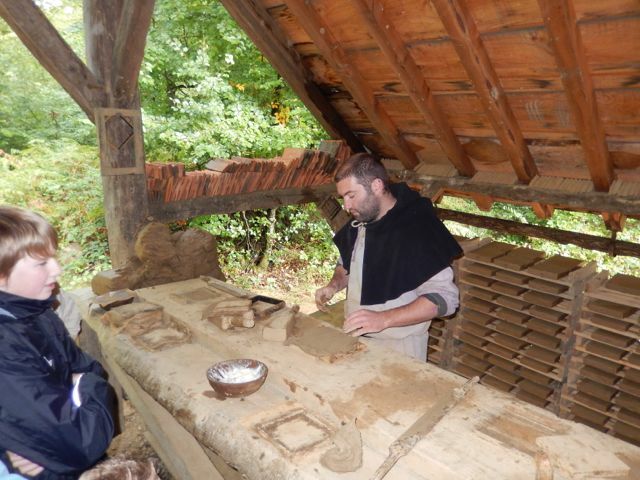 The kiln to fire the clay tiles for the roof and floors was built on site using native materials. 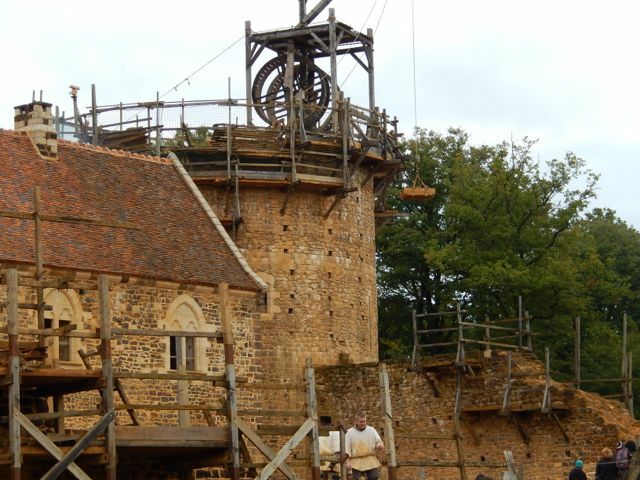 When Chateau de Guedelon is complete the tallest tower will be six stories high. To lift the rock and mortar they needed a crane. Medieval cranes were called squirrel cages for good reason. 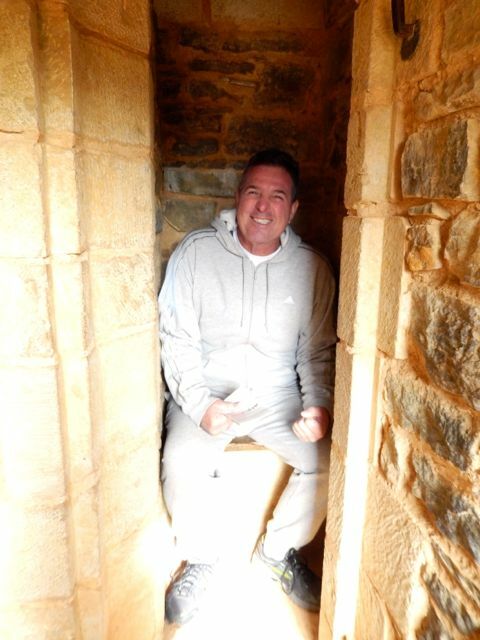 Imagine a wooden wheel large enough for a workman to stand in. The workman starts to walk and the wheel begins to turn. A rope is attached to the axel and voila! You have a human powered crane. One man can lift almost 900 pounds with one of these medieval cranes. 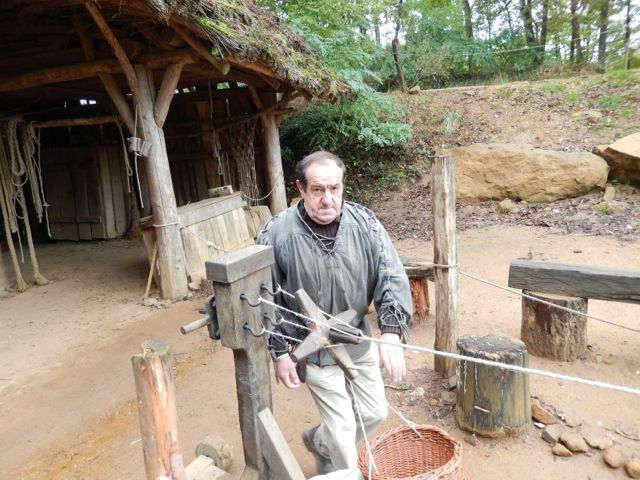 Even though they make their own rope at Guedelon, the French equivalent of our OSHA required certain safety upgrades like modern ropes and pulleys. 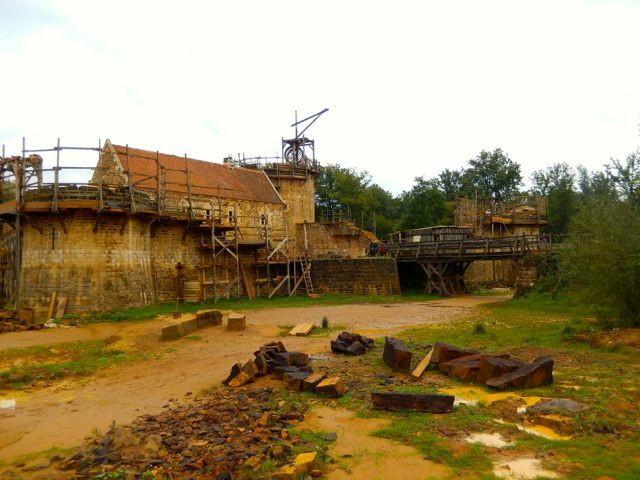 It will take 60,000 tons of rock to complete Guedelon. 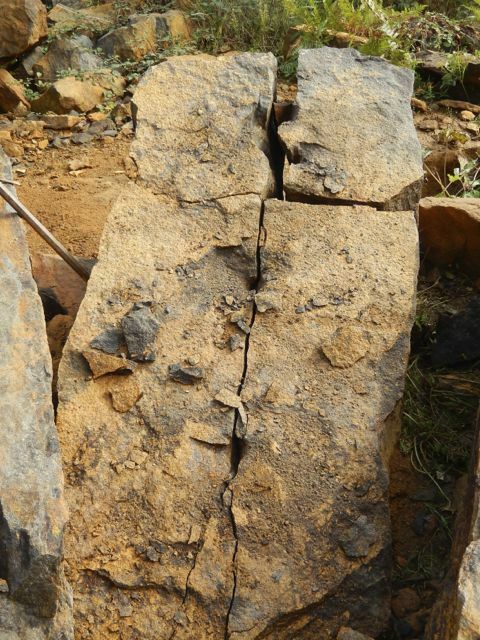 The quarrymen first cut a row of small holes into the sandstone rock formation. Then they take wedges, and hammer them into the rock. 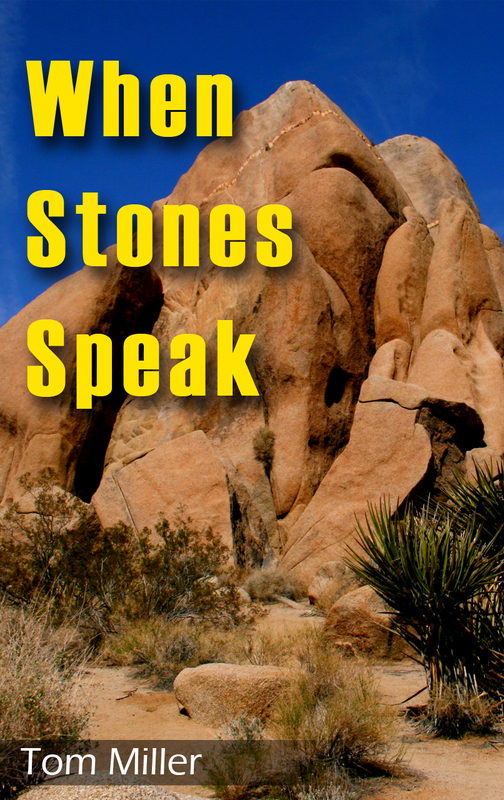 The wedges split the large stone into smaller more manageable sizes. Then the stone cutters cut and smooth the blocks so they can be used around the doors, windows and the corners of the castle.